Photos are the precious memories that everyone relishes. That's why they are so important for everyone. And when an unfortunate event results in data loss, it is the photos whose loss is most painful. Well, whatever situation resulted in data loss, but you don't have to suffer the consequences. You only require efficient and reliable photo recovery software. So, in this article, we are providing you not just one but a complete list of top 10 photo recovery app that would help the users to retrieve lost photos/pictures on PC/Mac. Comparison Chart: Which Photo Recovery Software Should I Choose? In many tests that are run to examine which software meets the user's requirements, Any Data Recovery always came first. And that's the reason it is considered as the best photo recovery software. Along with the photos, it can recover over 500 different types of files like videos, unsaved word file, mails, ZIP/RAR, etc. from hard drive, memory card, USB flash drive, etc. with the simplest way possible. The recent updated Mac version supports new APFS file system also. It has a very intuitive and simple interface. The software can recover photos and other 500+ types of files after accidental deletion, system crash, virus attack, etc. Support to recover lost pictures/photos in different formats: JPEG, JPG, PNG, PSD, DNG, GIF, RAW, MRW, PCD, RAF, SVG, RAF, BMP, PEF, EMF and more. With Any Windows/Mac data recovery, you can recover lost photos in 3 simple steps. Step 1. Download and launch this program, choose the target location. Step 2. This photo recovery will scan the target location and display all items after scanning. You can find lost photos quickly by typing file name in the search box; or you can find your files from the left panel. Prior to recover, you can preview the pictures. Step 3. Choose your files and click Recover button to restore pictures to computer. Stellar Photo Recovery might be the best DIY software that would allow the users to restore deleted photos. The software has a very vast device support and hence it can easily retrieve all kinds of data from them. The file format support of the software is huge so you don't have to worry whether your device's file format is supported by the tool or not. The tool can also be used to recover videos, music and other files too. It can save the scan information so that you can resume the recovery anytime. It requires huge data space in the system. Sometimes it can't recover all lost photos. Recuva is another tool which is very helpful to retrieve deleted photos from any device. The software has a very intelligent wizard which helps to recover the files. The wizard ensures that move on properly with the recovery process so that the media files can be recovered without resulting in an error. The software has a high-quality user interface. Offers two scan modes for recovery. The tool is only available by Windows OS. The Wondershare Photo Recovery is a professional tool that specializes in the recovery of photos, videos and audio files from various types of storage devices. So, the next time you lost your photos, you can rely on Wondershare to recover deleted pictures. The software can perform recovery of the deleted, formatted, lost and corrupted files. 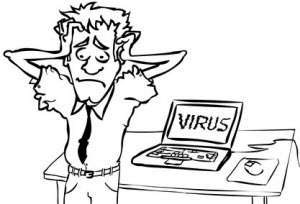 The software can perform recovery after a crash, deletion, virus attack, and more. The tool is very flexible as you can pause and resume the recovery. A preview is also offered by the tool. The software is not that much reliable. It can only ensure 50% of the photo recovery. This photo recovery software is also an excellent choice for photo recovery. As the name signifies, the software will drill the hard drive to look for the lost files and offers a quick and effective recovery. It also offers a preview of the files before they are restored and have a filter option to speed up the search for lost files. The software is compatible with both Mac and Windows OS. It has a simple design and interface. The free version only supports to scan file, but not recover photos. It is an excellent photo recovery tool that can recover files from digital cameras and many other storage devices. It is efficient deleted photo recovery software. The software consists of very simple steps for the recovery process. Low photo recovery success rate. To recover lost photos, the Jihosoft Photo Recovery software is very helpful. It can recover the photos, videos, and audios from any external device. The tool will be useful when you suffered from accidental deletion, formatting, partition error and other cases too. The software has a user-friendly interface. It also provides a preview of the files that you are about to recover. The trial version doesn't allow you to recover files. The recovery process can be time-consuming. As the search of the photo recovery software narrow down, EaseUS always make a space in the list of best tools. The software has a recovery wizard for Windows, Mac, Android and iOS devices. EaseUS has a tool for every function. So you can easily recover your photos and other files too that is lost from your device. It has an intuitive interface which is easy to use. The recovery process is a little bit complicated. The features are limited in the free version. The PhotoRescue tool is developed by Data Rescue to focus on restoring over 22 types of photo files format of mobile phones and another format suitable for various devices. It can restore deleted photos from iTunes even if they are encrypted. The software has provided a systematic guide so that it will be easy for a beginner to retrieve their photos. The scanning is very slow and irritating. The tool is still not tested with the latest mobile phones. The users, who want a complete data recovery solution, can try the Remo Recover Software. It can recover deleted pictures with just one click and for additional benefits, it can also perform file repair of the media files. 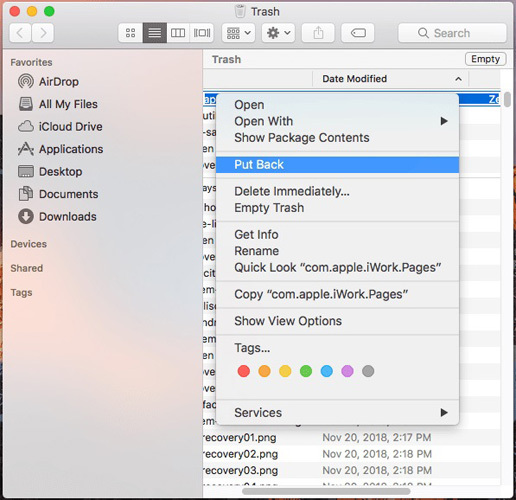 So, you can use this tool to fix your corrupted files and retrieve them easily. The software is efficient in recovering JPG files and raster images too. It offers a pause and resumes feature for flexible retrieval. The scanning is very time-consuming. It doesn't work for Android devices. The files can't be located among thousands of files. Only by comparing the features and analyzing the advantages and disadvantages of the listed tools we will be able to determine which the best photo recovery software is. So, have a look at the comparison chart and analyze yourself which software is the best one for you. Photos, videos, music files, and over 500+ different media files. Photos, videos, music, and some other files. Hopefully, now you believe that Any Data Recovery Software is the best tool to retrieve deleted photos or any other type of data from any device. You can try the software and see on your own how much reliable the software is.